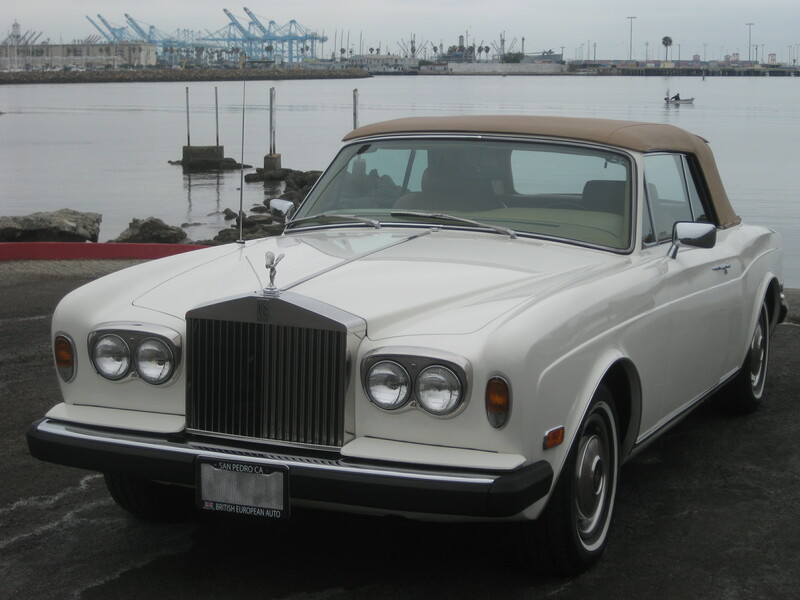 Here we have stunningly beautiful and timeless 1980 Rolls Royce Corniche. A two owner California car that has always been garaged and well maintained. This car has a bit of a high profile past as it was originally purchased and owned by Victoria Principle, best known for her role on the CBS hit show “Dallas”. The Corniche name, term for coastal road, was first used as a prototype. The first full generation of the Corniche started in 1971 and ran to 1987. Its beauty and detail represent the handmade craftsmanship of the Vickers era of production. Only 3,239 convertibles were made over this run for worldwide distribution making this car a rare item. Of course, the Rolls Royce name has long been culturally synonymous with the highest level of anything. This convertible lives up to that expectation. Manufactured in 1980 in Crewe, England this Rolls Royce is in excellent condition with all gauges, and interior electrical in working condition. The indicators self cancel, and the horn works along with the air conditioning, heater, and AM/FM radio. 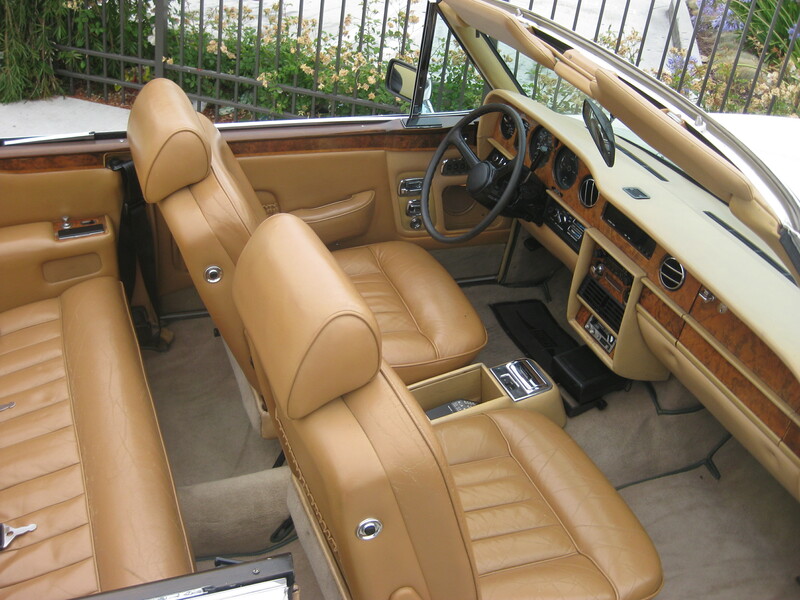 The original tan interior is in decent condition, it does show some signs of wear on the seats but overall the interior is very complete and there are no major aesthetic issues. The carpeting is in great condition throughout. The trunk space is nice and tidy as well as the engine compartment. The driver and passenger seats recline and operate well. The convertible top functions as it should, and goes up and down with the simple flick of a switch. The leather boot that covers the convertible folding top is in ok condition, and the convertible top itself is in nice condition. The top trim strip that runs across the car at the rear sticks up a bit on the ends and there is a little repair needed where it attaches to the body above the B post. These small issues could be easily rectified by a good upholstery guy. The exterior white paint is original and in phenomenal condition, no cracking or chipping to be seen anywhere. This Rolls Royce sits upon 4 good white wall tires with Rolls Royce crested hub emblems that suit the car perfectly. 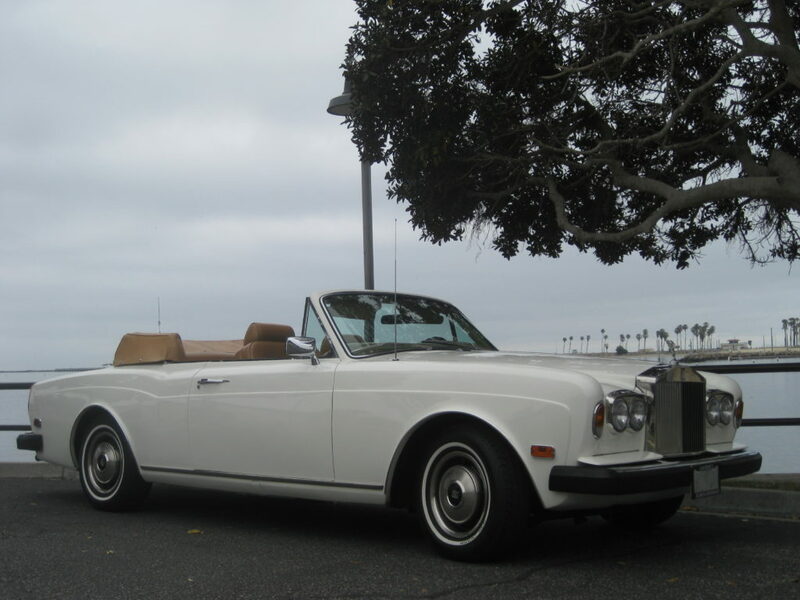 This Rolls Royce Corniche truly drives like a dream, and it’s no wonder these cars are so sought after. The steering is nice and smooth, and the suspension on the car is lovely. It feels as though your floating on a cloud when driving. The brakes are firm and the car pulls up nice and straight upon braking. Mechanically this car is very sound, road worthy, and ready to be enjoyed by its new owner! If you’re in the market for a Rolls Royce then look no further, because this is it. A wonderful example made by the most reputable brand in automobile production history. This is what most cars aspire to be, but simply cannot attain. As always I would advise inspecting the car in person if at all possible. It will not disappoint. Please call for an appointment or with any questions you may have, (310)833-1525 Monday-Friday 7am to 5pm Pacific time.